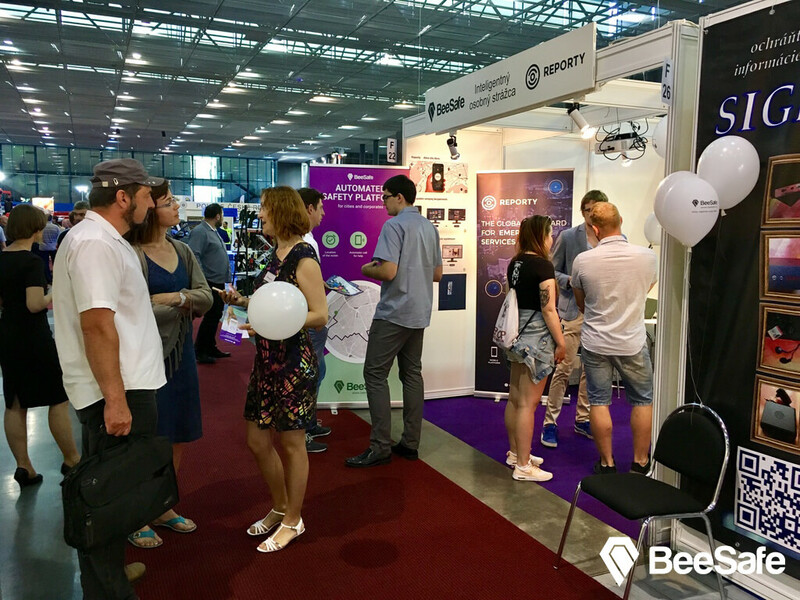 Together with Reporty we took part at the International Security Techology and Services Fair in Brno. It was a success. ISET is one of the most important security technologies fair in the Central European region. During the three days when it took place, we talked with several hundreds of people who stopped at our stand. Many of them were from the V4 countries, but we also met with visitors from France, Moldavia, and Russia. At the same time, we had the opportunity to join many fruitful discussions about the future of security with many experts and professionals from the field. It is also thanks to discussions like these that we can improve BeeSafe with every iteration. Besides, we’ve experienced it first-hand how important it is to have a great team of high quality people behind us. We saw it immediately at the start of the fair, when our IT gurus solved all the unpredictable technical difficulties in no time at all. Many thanks also go to Milan and Matej, our junior specialists, who were always ready to get at the helm whenever the “big calibers” of our management could not. Milan didn’t even hesitate to switch to fluent Polish whenever the occasion called for it. This brought about general astonishment in the rest of our team. In spite of his background, we simply had no idea about his language skills. ISET 2017 was also the premiere of the newest addition to our team—our new Sales Manager Marianna. With her 15 years of Sales experience, seeing her in action was really something to behold. We’re happy we have her onboard. In the end, however, our crew would certainly be lost without the leadership skills of our generals Jana and Peter, who were all over the place (in Peter’s case literally; he was flying our drone all over the site), ensuring everything goes smoothly. 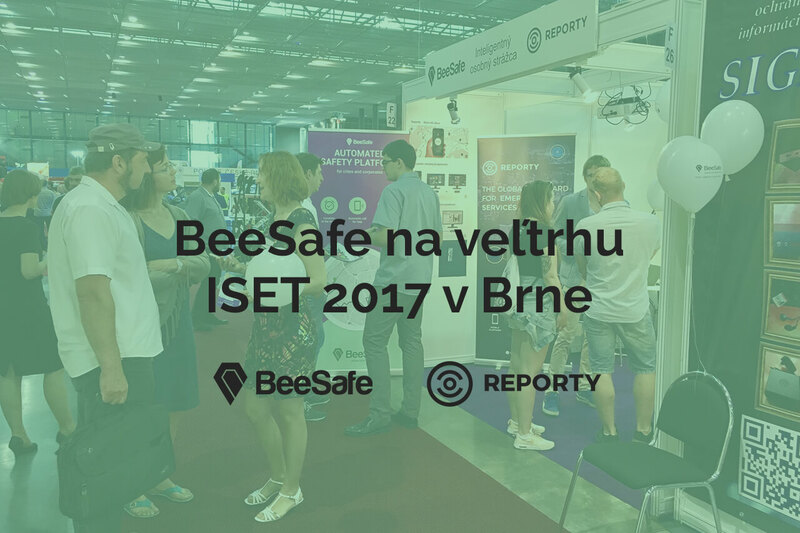 For Beesafe, ISET 2017 was certainly a success. Amidst the huge number of exhibitors we were easily able to hold our own—thanks to the complementary nature of our solution. After all, BeSafe doesn’t seek to compete or replace other solutions. On the contrary, it naturally complements those that already exist. 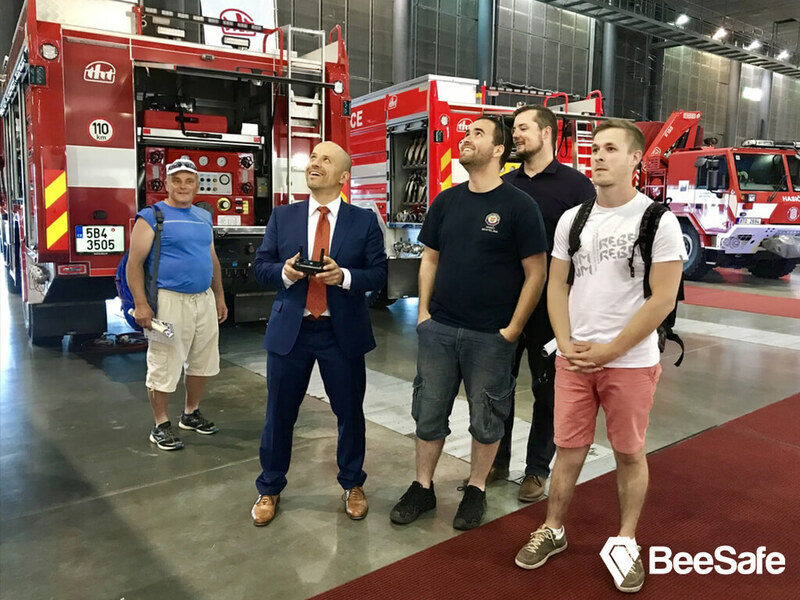 For this reason, ISET 2017 was a great opportunity for us to see the potential of BeeSafe in the world of innovative security solutions. This makes developing products like BeeSafe incredibly stimulating. You’re being constantly surprised with the breadth of its potential. BeeSafe is a security solution for cities and workplaces of the 21st century. Find out more about our mobile security app HERE! We’ll get you home safe. 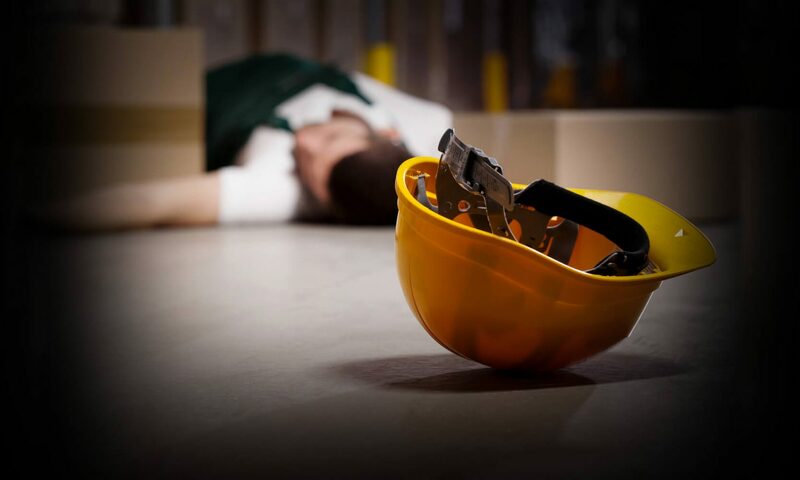 Previous PostPrevious How Do You Ensure Your Contractors’ Safety?